GenerEOS is excited to welcome and introduce our new team member Ignatius Widjaja. 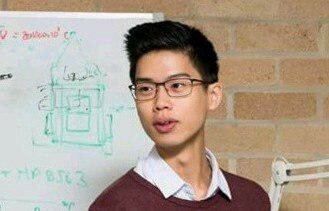 We first met Ignatius at the EOS Sydney hackathon where team GenerEOS competed and mentored at the event. Since the hackathon, Ignatius has been very active within the EOS community and has worked with well established projects such as Emanate and Telos. An engineer and technologist at heart, Ignatius started out in the low-level world of embedded programs as an electrical engineer, not too long after he soon found his passion for all things software. Prior to moving into the blockchain space, Ignatius has built a repertoire of trades as a consultant and developer extending from Satellites to Smart grid infrastructures, Serverless cloud DevOps and Platform integrations as part of one of the big 4 consulting firms. Having been set loose on the digital web of distributed consensus, Ignatius now advocates for the importance of building a stable foundation for mass global adoption. He has launched a consulting service under the alias of BlockS1.io and has worked with a number of startups across the states to build out their PoCs on EOS. From building decentralised escrow contracts to transact stored dollars of fiat to trading certificates and other financial derivatives. Ignatius is also one of the founding developers on the well established and exciting project Emanate — the platform for the future of music. He is a consultant and developer on the Eosio-based 3rd generation chain, Telos, working on governance contracts and portal toolkits, as well as other projects in the EOS space. Ignatius has harboured a strong attachment for social causes, now setting his sights on EOS Governance and educational growth. With his strong technical background and his love for charitable causes, governance issues and education, he aligns perfectly with the values and mission of GenerEOS. Once again, a very warm welcome Ignatius. We are excited to have you on board!